When it comes to car GPS receivers, it doesn’t get much better than Magellan. Building on this experience, they now offer dash cams. Crime rates and car accidents seem to only be going higher and higher. If security is important to you, then a dash cam can be perfect for you. Up for review today is the Magellan MiVue 420 Dashcam. o Large 2.7" Display: Hi-resolution display on front camera for easy video playbook viewing on the device. o High Resolution Recording: Records all video in Super HD (1296P) resolution for crystal clear images. o Outstanding Night and Low Light Recording: Camera’s aperture (f\1.8) and built in Wide Dynamic Range feature produce excellent night and low light recording. o GPS, Time, Speed and Date Data: All recordings display GPS location using latitude and longitude, time and speed for accurate event recording. o Impact Recording: 3-Axis G- Sensor measures forces and movement and locks video recording data 15 seconds prior to the event and 50 seconds after upon impact. o Field of View (FOV): Camera has a 140° Viewing Angle to capture the entire width of the road ahead of you. o Parking Mode: Provides peace of mind when a vehicle is parked by monitoring where the camera is pointing for a maximum of 30 minutes if the camera is not plugged into a socket continuously powered. o Digital Camera Mode: Switch to Photo Mode and detach the front camera from the mount to collect close-up still images. o Lane Departure Warning: Visual and audible warning notifies the driver if they are wandering out of their lane. o Forward Collision Warning: Visual and audible warning alerts drivers if they are getting too close to the car directly ahead. o Driver Fatigue Alert: Receive an audible alert that it is time to switch drivers, or if driving alone, take a break and relax. Driver's select the amount of time they can drive before being reminded. o Headlight Reminder: At sunset drivers are notified to turn on their headlights for better visibility and safer driving. o Speed and Traffic Camera Alerts: Avoid costly tickets by receiving audible and visual warnings of fixed red light and speed cameras along your route Drivers are able to add locations to the unit's internal database. o Cruise Speed Alarm: Audible and visual alarms to help you maintain safe driving speeds. o MiVue Manager: Upload and browse recorded video on iOS or PC to organize, browse, and see routes overlaid in Google maps, as well as see direction and force of impact, and more. o Social Media Sharing: Use the social media feature to quickly share to YouTube & Facebook via linked accounts through MiVue Manager. o Rotating Mount Design: The front windshield camera mount allows the unit to turn to record events taking place in the vehicle. o 8GB microSD Card Included: Compatible with Class 10 cards up to 128GB. Record hours of video with the included card and up to 21 hours of video when a 128GB microSD card is purchased separately. The Magellan MiVue 420 Dashcam came in a great looking printed box with photos of the dashcam and its specs. Opening the box showed a well protected dashcam. Materials used in the construction were mostly plastic. The quality of materials used was very good. The same is true for the fit and finish. The Magellan MiVue 420 is a well made product and felt well made in hand. The buttons were secure with good feel and feedback when pressed. Also included was the windshield mount, power cord, and 8GB micro SD card. Setting up the Magellan MiVue 420 was very simple. Installing the windshield suction cup was extremely simple. And the dashcam just slid into the mount. The power cord just plugged into the cigarette lighter/power outlet. Once mounted and plugged in, the Magellan MiVue 420 was easy to get set up in its settings, such it’s other features such as GPS and lane departure alert. Now let’s hit the road and see how well it works. I was impressed with the performance of the Magellan MiVue 420 dashcam. It was the type of performance I have come to expect from Magellan. The use of its aperture and Wide Dynamic Range proved to be key. During the day, it proved to give a great feature to help give an image that was viewable even in bright sunlight. The same was also the case with recording video at night. The video was better than expected. And while it was dark, the headlights were amply able to light up the field of view for a good recording. And oncoming headlights did not wash up the video to make it viewable. And I loved the high resolution. I also really liked the extra features. Impact recording is perfect if you get into an accident, locking the video so it won’t get deleted. Parking mode does the same thing thanks to impact sensors, in case something hits your car while parked. Land Departing Feature and Driver Fatigue Alert gives an audible alert if you start to drift lanes, to help wake you up. The Cruise Speed alarm helps you keep a safe driving speed. Social Media Sharing makes it easy to share your videos on YouTube or Facebook. And if that wasn’t good enough, it also has Speed and Traffic Camera Alerts. I absolutely LOVED those features, and they in and of themselves can help pay for the Magellan MiVue 420 based on the savings from the tickets due to the savings or lack of these tickets. This will help you from getting these tickets, so it will help pay the cost of the Magellan MiVue Dashcam. The extra features also worked very good. The Lane Departure Feature worked great, but did have a few hiccups. It's best performance was during daylight hours. In the evenings it did miss my drifting over the median a couple times. Daytime performance was better than expected. And when the warning came on, it was a sufficiently loud speech warning, and not just a beep that could be missed. If you aren't paying attention, or are just day dreaming, the vocal warning is loud enough to get your attention. And I liked the display of my speed. The Magellan MiVue 420 Dashcam proved to be a great little performer. And with an MSRP of only $180, it is a good value as well. Being loaded with extra features is a bonus. 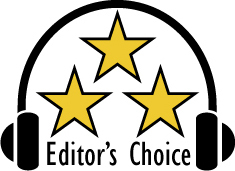 Based on it's design, features, quality, and performance, the Magellan MiVue 420 Dashcam has earned our Editor's Choice Award. For more info and complete specs check out their website at www.magellangps.com.